General Mills has given some of their cereal boxes a Star Wars makeover as part of the lead-up to the new Star Wars: The Force Awakens movie set for a theater release on December 18, 2015. The affected boxes include Honey Nut Cheerios, Trix, Cinnamon Toast Crunch, Reese's Puffs, and Cookie Crisp. Honey Nut Cheerios features BuzzBee dressed as Darth Vader; Trix shows the Trix Rabbit dressed as Princess Leia; TIE Fighters have invaded Cinnamon Toast Crunch boxes taking the cereal on as wings; and Reese's Puffs shows the Millennium Falcon flying through an asteroid field of puffs. Additionally, as a Walmart exclusive, the Family Size box of Cookie Crisp depicts Chip the Wolf as a stormtrooper. 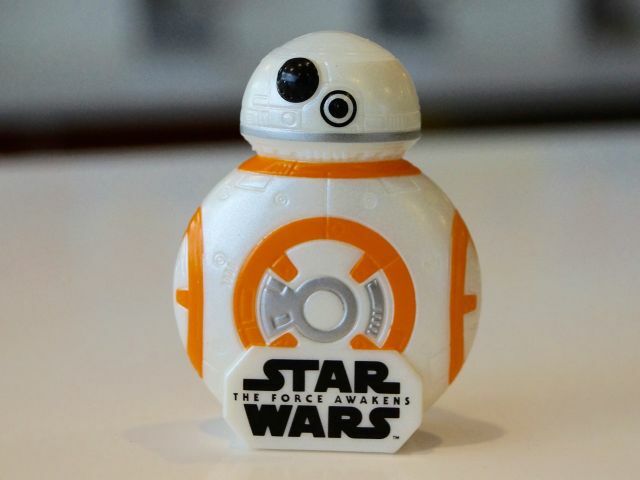 In addition to the limited-edition redesigns, the boxes also include a droid-shaped image viewer that includes an image from the upcoming movie. 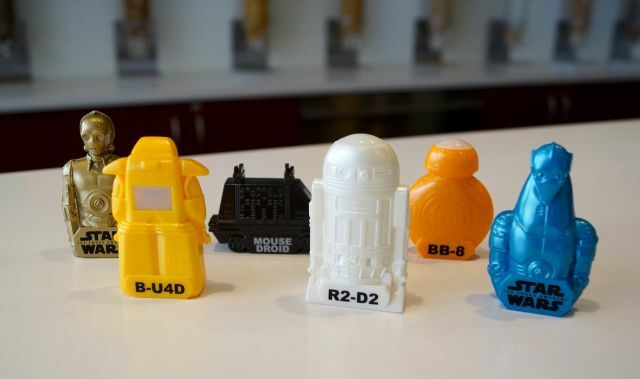 Unfortunately, if you're planning to collect them all, the cereal boxes each come with one Droid Viewer selected randomly from a selection of six, so you might be going through quite a few boxes if that's your goal. Also, there's a Target-exclusive seventh Droid Viewer that looks like BB-8 (that's the new droid with a ball for a body that rolls around) in specially marked boxes of Cinnamon Toast Crunch at select Target stores.